Perhaps "doosra" is the most significant word in cricket. After all, it's the first term from a South Asian language to have entered the mainstream. English is full of South Asian words - shampoo, jungle, bungalow, pyjamas, chutney - but this is the first time that cricket has adopted a specialist term from a subcontinental language. There's an argument for gully, I suppose. A galli is a narrow alley in Hindi, but a gully in English is "a narrow cleft in a cliff, related to gullet, the throat". The etymology is from a French term for the neck of a bottle. I think we must put this down to commonality - the fact that English and Hindi are both members of the great family of Indo-European languages. So gully probably wasn't directly borrowed from a South Asian language. That makes doosra unique. It comes, of course, from Saqlain Mushtaq of Pakistan, who invented the offspinner's wrong'un in the 1990s. Or so he claimed. Sonny Ramadhin was turning 'em both ways with an offspinner's action in the 1950s, much to the bemusement of the England batsmen. We have stump mikes to thank for the word's move to the mainstream. 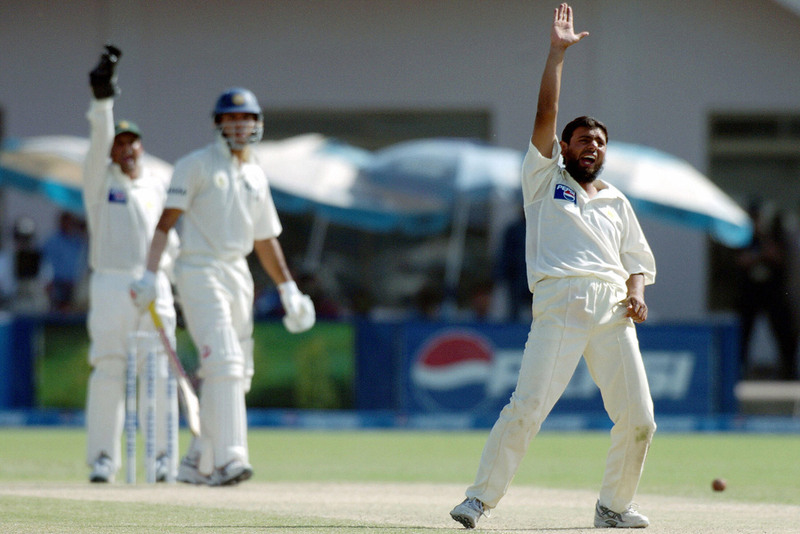 Moin Khan, never the strong, silent type, kept wicket to Saqlain and would often audibly implore Saqlain to bowl "the doosra". Tony Greig was a terrific television commentator, if never wholly calm. He was always mad for anything new, so he picked up the term and started to use it in commentary. Saqlain confirmed that yes, the delivery was the offspinner's wrong'un, and yes, he called it the doosra, which means "the other one" or "the second one" in both Hindi and Urdu (commonality again). The word has become an aspect of the division - the gully - that lies between Asian and non-Asian cricket nations. The fact that the doosra has an Asian name adds to the mystery - perhaps I mean the suspicion - that surrounds it. The Australian academy refuses to teach it, in the perverse belief that it's impossible to bowl a doosra with a legal action. There was much speculation as to who would bowl the first doosra for England. It's generally agreed that this honour goes to Moeen Ali, who bowled it in 2014; though that same year he stopped, from fears about the legality of his action while bowling it and concerned that it might compromise his orthodox repertoire. I think that's wrong. I think the first England doosra was bowled by Kevin Pietersen. I can't find any record of it, alas, but I remember a time when he was asked to bowl at a relatively meaningless stage of a match, so, for a bit of jape, he bowled a ball with a contorted action - a clear chuck that wasn't called. That, I am prepared to bet, was the nearest he could get to a doosra. Saqlain went on to claim a third delivery, a teesra - "the third one" - sometimes interpreted as a disguised backspinning delivery bowled roundarm and a touch quicker. This term hasn't really taken off in English. Other Asian terms hover on the fringe of the mainstream. R Ashwin's carrom ball has been called the sodukku. The Bombay school of batting, which is based on the principle that you must value your wicket highly, is routinely described as khadoos, which means mean or stingy: skinflint batting. A subcontinental term has been used for a very subcontinental phenomenon: the ultra-flat pitch that has nothing at all for the bowler. "A paata wicket": a term that may well break into cricketing English. Jazba is a term associated with the Pakistan cricket team, and it means passion, the spirit of cornered tigers. Tamasha is creeping into English use. It means "performance" or "spectacle" and describes the mood and the crowds of limited-overs matches - especially at IPL fixtures - in India. Can you count Mankad? Probably not, since it's a proper name, but the word - which can be used as a verb, to mankad, or a noun, to do a mankad - means running out a non-striker. I've never understood the problem with mankading. Is the bowler supposed to allow the batsman to cheat at will? The word doosra is a symbolic invasion of the English language by Asia, and is clear indication that cricket is an Asian game these days. An Indian game that was accidentally discovered by the English, as sociologist Ashis Nandy famously remarked. The future of England cricket is increasingly bound up with the British South Asian community, which produces one terrific cricketer after another. The doosra, and a once-marginalised cricketing community, are both going mainstream. Doosra: Is it really a question of integrity?